A disaster avoidance & recovery plan for your telephony is an essential part to any company, no matter how big or small & is often overlooked. 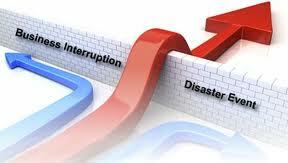 Most business at some point will experience an incident that involves Telephony or IT disruption. It usually happens suddenly without warning and can prevent businesses trading for days or weeks. We offer a complete range of solutions to keep you resiliant & open for business, so there is no interuption to your business, your staff or to your clients. Contact us now for details.